Gary Robert Ballard was born and raised in the Northwestern part of the United States. He grew up in a Christian home and attended an Assembly of God church with his family. Gary owned and operated a local courier service business for 15 years that served Northern Idaho and Eastern Washington. On a trip to Manila, Philippines at Christmas time in 1996, Gary was greatly impacted while ministering to the poor on the streets. Experiencing God’s loving compassion for the people led to many insights and revelations about God’s love. In 1997 Gary felt called by God to publish the Gospel of Jesus Christ on the Internet. He then started the SeekGod.org web site. Later that year Gary made another missions trip to the Philippines. He met his future wife, Suzzhette on that trip and they were married in 1998. Since the beginning of the SeekGod.org website, the response from people around the world has been tremendous. Recognizing God’s blessing on the site and the great potential to reach many more people, Gary and Suzzhette formed Seek God Ministries in 2002. Gary believes that the Internet is the most cost-effective tool to publish the Gospel that God has ever given the church, the body of Christ. The messages that Gary writes do not reflect the views of any denomination but are for the body of Christ everywhere. They are written as the Holy Spirit leads him. The articles have touched many people’s hearts in every age group and nearly every nation. Gary and Suzzhette have three children; Joshua, Alianna, and Shekinah. 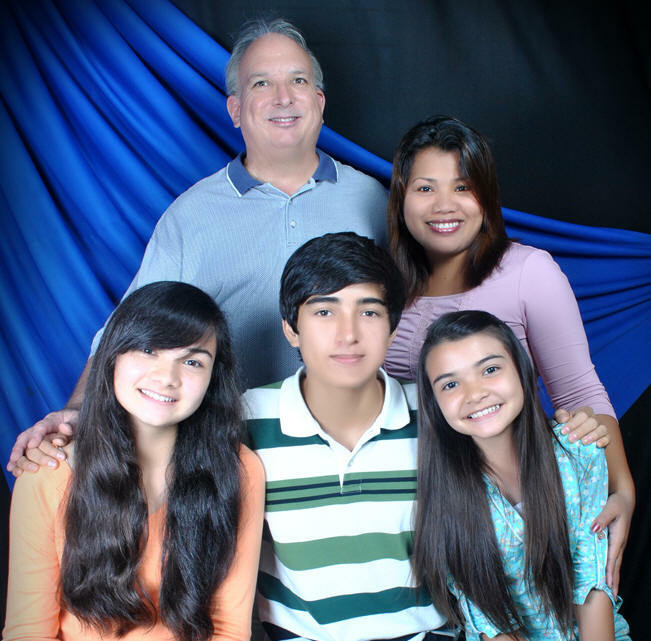 In 2007 their family moved to The Philippines to do missions. The Lord had placed a call in their hearts for Asia several years before. They are currently doing missions work in The Philippines. Their passion is to see the body of Christ come into maturity and unity through embracing truth and experiencing God’s love. Gary continues to be fully committed to writing articles and publishing them at the God.net website. Often, his experiences in the Philippines have led to revelations and insights which have become articles. Gary would like to see God.net become a major resource for the emerging generation of God seekers, who have a passion to walk with God like Enoch did. If you would like to partner with Seek God Ministries you can help us with a donation.